Delicious and healthy, custom sunflower seeds is one of the most popular options among custom promotional snacks. 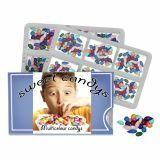 Offered in eye catchy containers and packets, these make perfect giveaways for seasonal promotions, conventions and tradeshows. Now you can shop at ProImprint for a delectable range of promotional logo sunflower seeds to make your brand a hot favorite among the health conscious customers. We offer the lowest price match guarantee, FREE set up and artwork assistance on every order, discounts on bulk purchases, rush orders, quick shipping and much more! 100% customer satisfaction guaranteed! Shop now! 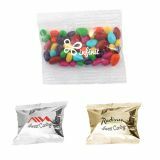 Custom sunflower seeds offered in beautiful logo imprinted bags will make your brand bright and well appreciated during promotional campaigns! Ideal to promote a range of businesses like wellness programs, fitness and diet, custom sunflower seeds will give a quick shot of vitality for your customers on their day out , at the sports fields or even at their work desk. 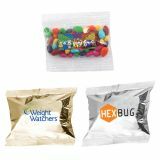 These will not just put across your logo and business message with ease but also reminds your customers of a healthy diet. 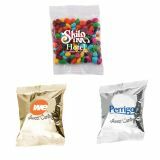 Packed in attractive header bags that are imprinted with your colorful brand logo, personalized sunflower seeds will spread a sunny charm to your branding campaign wherever these are given away. Be it for the sports fans in the stands, the athletes on the track or the people on the move, these tasty seeds will keep your brand well hoisted in the minds of your patrons for sure! Sow the seeds of a successful brand promotion with these tasty and healthy snack items which will make your brand a hit among your customers. ProImprint offers delicious, oven roasted sunflower seeds in various unique flavors, including chocolate. Perfect for travelling, hiking and camping, these custom promotional sunflower seeds will make them happy and will remind them about your business for days to come! 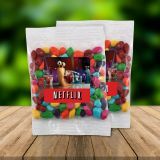 Imprint your logo, text or images in bright and flashy colors of your choice on these bags and ensure a brilliant display of your brand at tradeshows, games and special events. 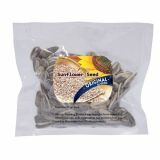 Packed with energy and nutrients these custom promotional sunflower seeds make a handy snack for your employees on their sales call or on a busy day at work. 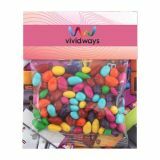 Watch your brand go on a spin every time your employees take a grab of these tasty pods, which will make the people around to watch your business message up close! Shop for personalized sunflower seeds at ProImprint and give your brand the popularity it deserves. There are loads of sunflower seeds in various flavors, prices and package options. Choose the one that suits your brand identity and enjoy a sunny promotional campaign. Call us at 844-776-4677 or email us at info@proimprint.com for queries or orders.